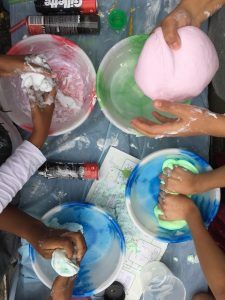 A BIG BIG THANK YOU to India and Bryony for inviting us to their slime workshop at Platform Southwark during half term. The young people started by exploring the slime exhibition, learnt all about the different types you can make and got to make their own slime. Lots of gooey hands and smiley faces…and that was just the staff!!! Safe to say, everyone had a great time and we would love to come back again! OPENING TIMES OVER CHRISTMAS & NEW YEAR!